As much as you may love compost, one of the biggest challenges is not in knowing how to make it (which we dedicated an entire episode to), but in making enough. (And if you’re into podcasts, we also did a short podcast on how to make compost). This is the end result of 8 weeks of commercial composting–mountains of black gold. Today we visit Cedar Grove Composting, one of the world’s largest composting facilities, located just north of Seattle, Washington. We go behind the scenes from the moment it’s delivered from all the green waste collected throughout the city, and follow the process to see how it’s transformed to the finished compost we know and love and use in our gardens and landscapes. 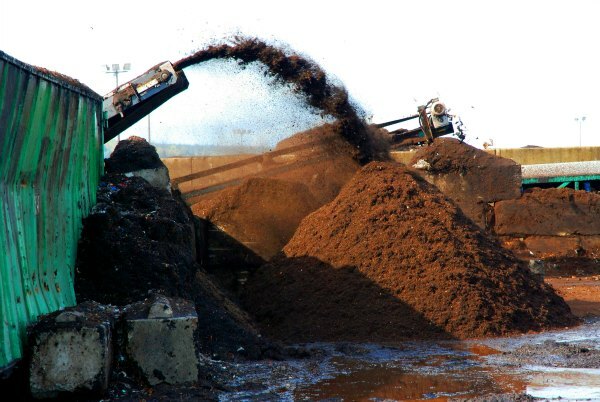 The basic process is not all that different from how we make compost at home: green waste, brown waste, moisture and oxygen — the four basic ingredients every compost heap needs. They just do it on a massively larger scale. It’s a fascinating journey and a rare opportunity to see how it’s made in such great volume. Next we stop in to Seattle Tilth, a nationally recognized organization that educates anyone willing to learn about proper gardening techniques with a strong emphasis on organic gardening.There are classes and workshops for all ages, demonstration gardens and the popular Master Composter/Soil Builder program. 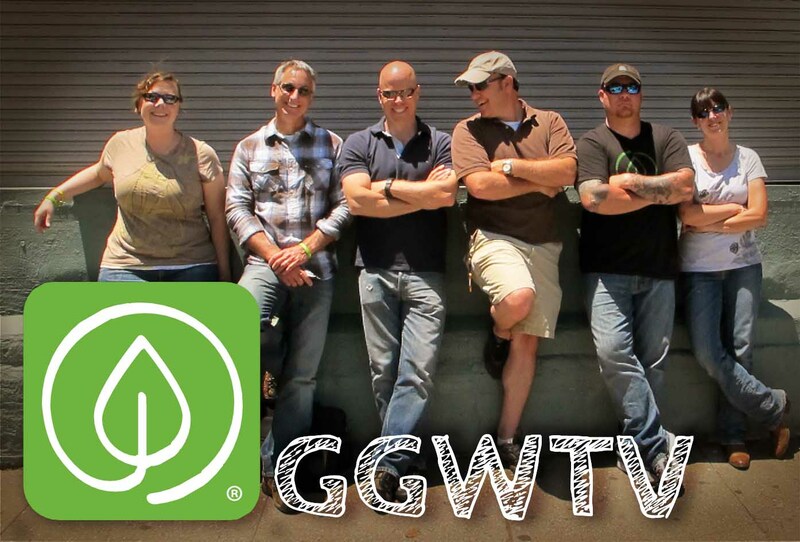 See the GGW crew participate in one of their introductory classes to making compost. Finally, it’s back to the GGW Garden Farm in Atlanta for a lesson on how to make a worm composting bin with our own DIY guy, Todd Brock. 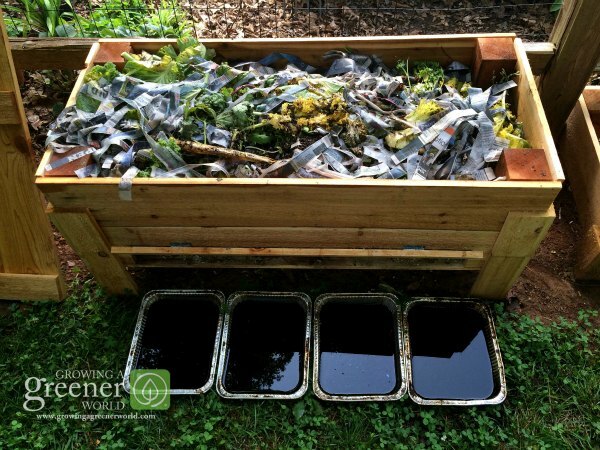 Composting with worms, known as vermicomposting is favorite method of using common red wiggler worms to help break down the waste, while including their own nutrient rich waste. 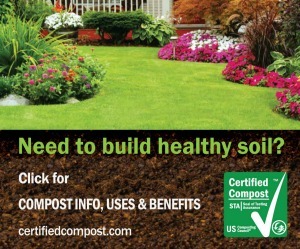 The end result is the very best compost available. Our vermicompost bin is easy to make and designed and modified specifically by us to maximize the quantity and ease of access to harvest the finished vermicompost as well as the liquid worm leachate. 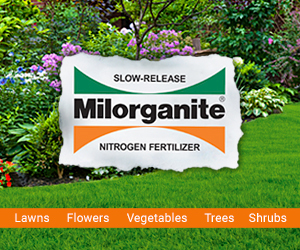 Around the Garden Farm, we use it a lot and consider it the best organic liquid fertilizer ever. Here’s the best part. While you can watch us make it in this episode, here are the plans for everything you need to know to make it yourself! 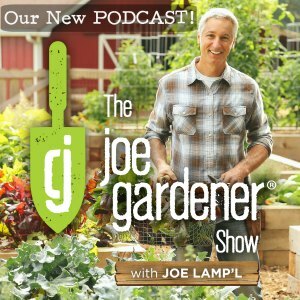 Disclosure: At the time of this post, Joe Lamp’l is the spokesperson for the U.S Composting Council. Additionally, some product links on this page are affiliate links, which means we would get a commission if you purchase. However, none of the prices of these resources have been increased to compensate us. While the commissions are small, any received go towards helping to offset the expenses of bringing this free content to you. Question: have you considered making a worm bin that goes directly over the raised bed? And then move it like you would a chicken pin. Bob, I have not considered having a worm bin that goes directly over a raised bed. It sounds like an interesting idea. Let us know if you try it and it works. 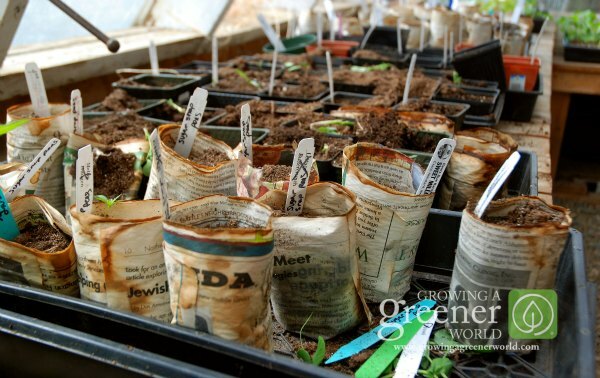 That’s one of the great things about gardening, the creative ideas and solutions that people come up with. 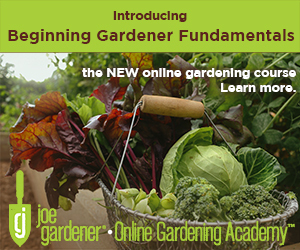 Have a great growing season! question my wife asked, is the ink on newsprint any concern feeding the worms? Most newspapers today use soy based ink and are not bleached (with chlorine). If this is the case the risk of any harm to worms or introducing toxins in your vegetable garden is minimal. I hope this helps. Happy worm composting. Very nice looking worm bin. I started worm composting a few months ago, I have two bins, one outside and one inside. They are simple heavy-duty containers, double stacked, the bottow with spigot to drain the worm/compost tea. The indoor bin seems to works fine, but the outdoor is now filled with maggots/black soldier flies larvae and I cannot see any red wigglers. I think they are escaped or dead because it is too hot here in zone 7a Northern VA. So my question is, do you have black soldier larvae in your bin? Is it save to use leachate and composted stuff from bsf larvae for vegetable garden? Thank you so much! Hey Restu. I don’t notice an abundance of larvae or flies in my bin. And I do have a nice population of worms. I live in zone 7B. Is your outdoor worm bin in the shade? If so, it shouldn’t be too hot. If it was in sun that could be the problem with not seeing worms. I think once you get a good balance again, the fly issue should subside. Good luck Restu! 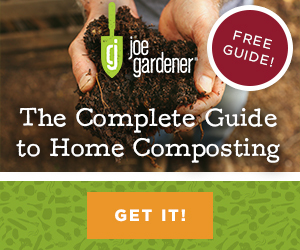 Joe, where can I get directions for the worm compost bin? 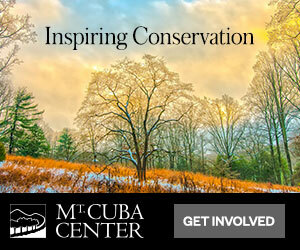 Here’s the link from our website Bob. If you need to find it again in the future, just type “worm bin” into the search field. It will pop right up with other related resources. Just wondering where does one get the red wrigglers? I will have my first garden this year and am very interested in the worm composting. We have been composting scraps, lawn clipping and leaves for some time now for my flower gardens. You can go to a bait and tackle store, even some Wal-mart stores offer red wigglers in their fishing department. Look for a small refrigerator where they keep them in containers for purchase. When I’m getting started, I typically go online and order them by the pound. You get about 1000 worms per pound so 1 or 2 pounds should be plenty. Since they’re shipped overnight delivery, it can be a little pricy but in the big picture, I like this option. Living in the north where outside temps drop below zero, I was wondering how you keep the worms alive through the winter. The frost line is about 3 feet where I live, and the worm bins are not that deep. Would the red wigglers survive a winter? Hello. I just recently watched both episodes 623 and 622 and read your article concerning whether or not red wigglers can survive a cold winter. It made me wonder if placing the worm bins in either a single or double layer set up as shown in episode 623 for extending the harvest into winter would provide an environment in which the worms could survive through the winter. If so, would they be dormant or should they be fed as usual? I assume one could tell by observing how fast the food is being converted. Lastly, I remember when I was a young kid, my dad used to pick night crawlers and kept them in a large flat steel container around 6 feet by 4 feet by 1 foot deep. They seemed to multiply in there and he sold them for fishing bait. If one took the time to attempt to build up a population of night crawlers from their own area and put them in a proper worm bin, would they provide good compost or are red wigglers the best? In your article you stated that night crawlers go below the freezing line in the winter; so, perhaps, they would be rather confused by not being able to go down that deep when confined in a bin, even if placed in a protective covering like those of episode 623. Hi Gary. Good comments here. As to the survivability of the worms over winter, I think it’s simply a matter of how cold the ambient temperature is around the worms in winter. If you can keep their environment above freezing, then I suspect you’ll keep your worms alive as well. I have not made any efforts to do that yet find plenty of young worms that have hatched from the overwintering eggs. As for the night crawlers, I do think a shallow bin goes against their nature. The beauty of the red wigglers for composting is that they feed close to the surface to break down all the new inputs. So overall they’re more productive from a composting standpoint. Good morning Joe and Nathan. Thank you for having a very nice program. I sure wish that southeastern Wisconsin had this elaborate composting facility. I would gladly pay for a truckload of this BLACK GOLD. But I will have to rely on my own homemade compost. Since I am a senior citizen, my compost piles do not get turned regularly and my frozen tundra weather inhibits the break down process. Eventually Mother Nature does her job and I do get a very nice final product. About 10 years ago I started worm farming in plastic totes in my basement. Over the years I have learned from ‘trial & error’ the most effective way of having a unlimited supply of this BLACK GOLD. Free or cheap and quite simple. One of my newest methods of feeding the worms is putting all the kitchen scraps into a blender before feeding them. They eat this ‘mush’ much faster than whole or slightly chopped scraps. Consequently I get more worm poop at a faster time frame. Putting the scraps into a blender first is much like your program showed when they put everything into that huge shredder.